Sentinel Healthcare South West Community interest Company (CiC) is owned by shareholders of General Practitioners and Practice Managers in Plymouth. We provide services for patients and medical professionals in Plymouth, South East Cornwall, South Hams and West Devon. We exist to improve the quality of life and health of the patients and colleagues we serve. Through collaboration with our partners we will deliver the founding principles of the NHS with high quality health care for all, free at the point of need. As a community interest company we will assure our business model remains ethical, credible and commercial with any surplus being re-invested in the community we serve. 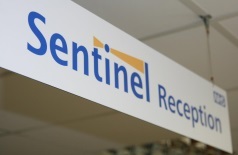 ince 2007, Sentinel has successfully designed and delivered services for local patients in Devon and South East Cornwall. As a ‘not for profit’ social enterprise company, we have worked to expand patient centered services and invest any surplus in further patient services. 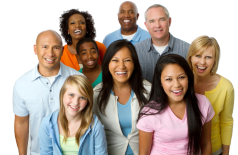 We have successfully developed a range of services in our role as a community interest company. Development of city wide outpatient services for Ear, Nose and Throat (ENT),Cardiology, Dermatology, Minor Operations, Musculoskeletal Assessment and Treatment services, Chronic Fatigue Syndrome/ME and Diabetes Patient Education. 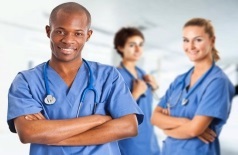 Education and learning packages for GPs, Practice Nurses, Health Care Assistants and Practice Managers. 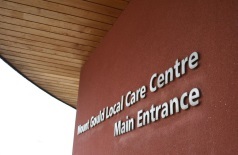 Expansion of shareholder base to mirror Western Locality Clinical Commissioning boundary. Really nice to be seen in a small clean hospital, where the staff have time to care and the Doctors have the time to do their work, and give the attention to the patient. Got to hospital, seen on time. Staff very obliging, doctor took time to tell me what was happening and preventive care. Felt like it was a private hospital. Many thanks. I found the staff very helpful and polite, everyone seemed to be relaxed and aware of the patient’s needs. I was very pleased with my visit to the clinic. Thank you. The experience was very good, the appointment came through promptly, everything was explained and questions answered. It was all very relaxed yet professional. Very professional. Very precise. Thorough examination. Down to earth explanation regarding my symptoms and possible remedy. Felt confident in the way I was listened to. We believe in equality, choice, putting patients first and allowing local medical professionals to develop and thrive in their roles. Our work is underpinned by our commitment to promoting excellence and improving the quality of local services. We believe in efficient and equitable use of public resources, which should be distributed universally and fairly. A strong sense of professional integrity and personal respect is fundamental to our ethos and corporate values. Sentinel Healthcare South West Community interest Company (CiC) provides Assessment & Treatment services in Plymouth, South East Cornwall and South Hams & West Devon. I consent to Sentinel Healthcare collecting my details through this form.